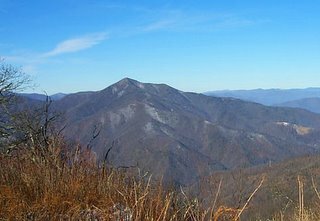 It's such a wonderful clear day today here in North Carolina, I thought I would pass along a view of Cold Mountain up in the Pisgah National Forest. Here's a webcam that shows the current view. Also, here is some verse from late 8th Century, Taoist-Chan poet, Han-Shan. He lived and wrote in the far eastern mountains of China and is well-known for his collection of "Cold Mountain Poems." Han-Shan means "Cold Mountain." This Translation is by Burton Watson. Read more Cold Mountain Poems here.